Justice for all this Christmas! 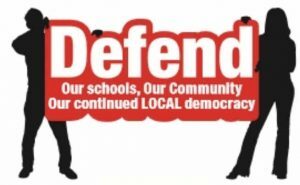 As you may be aware, the government has attacked the funding that is available for trade union education, reducing it by 50% this year and then to nothing from August 2017. However, currently we are still able to offer free courses, so there is still an opportunity to take advantage of this. Unfortunately, this may be your last chance. If you are interested (or know any colleagues who may be interested) in attending any of the courses on offer, then please apply online at https://www.tuceducation.org.uk/ or contact the trade union education department at CoNEL on 020 8442 3075 or email at tued@conel.ac.uk. Our NHS is in a major crisis and this government is doing nothing to stop it. Some say the NHS only has one winter left in it. On the backdrop of continued cuts and closures, private companies seek to gain even more of a foothold within the NHS. Continued pay restraint has seen the value of NHS staff salaries reduce by 14% since 2010 and there are now 25,000 nursing and 3,500 midwifery vacancies in NHS England alone. The Government’s latest plans for Sustainability and Transformation Plans are, in reality, just a smokescreen for £22bn in cuts and it’s latest instrument of privatisation. 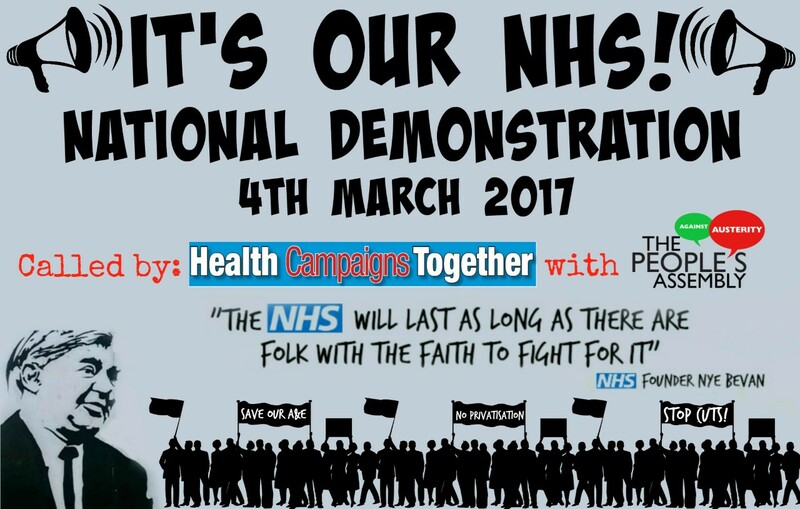 The NHS is the single greatest achievement of working class people in Britain. We cannot allow it to be undermined and ultimately destroyed by a Tory government who’s priority is to put profit in the pockets on the corporations & big business. 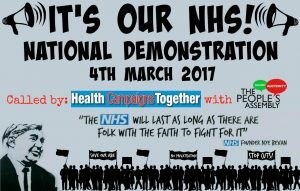 Please help us make the demonstration as big as possible. Leaflets, posters and publicity will be available soon from the People’s Assembly office. In the meantime, please share and invite your friends on Facebook, discuss with your union branch, local campaign groups and community organisations about supporting the demonstration & book transport to London. Over 140 million people have been forced to move in recent years because of climate change disasters – droughts, harvest failures and devastating storms. Our warming planet is driving massive long-term environmental damage and sudden catastrophes. 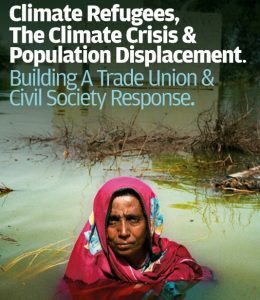 The UN says environmental refugees could reach 300million people by mid-century. 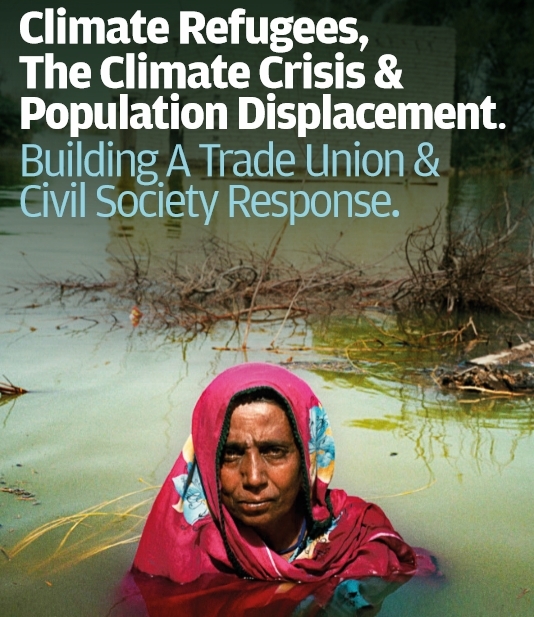 This conference from the Campaign Against Climate Change Trade Union Group aims to dispel refugee myths, work on a new Protocol for the international protection of those affected by climate change, raise demands for stronger action, and agree a climate refugees campaign statement. Unions and campaigns for climate jobs. Raising awareness of climate change impacts at national and global level. Unions and campaign groups challenging xenophobia and hostility to refugees and migrants. Joint work to draft a new Protocol for the international protection of those affected by climate change. Supporters so far: Campaign Against Climate Change, FBU, TSSA, CWU, PCS, NUT, Stand Up to Racism and other unions and environmental campaigns. Moroccan students and trade unionists are calling on activists in the trade unions and student unions in Britain and around the world to support their battle to defend the National Union of Moroccan Students from attack by the government. The Moroccan state is trying to take over the union’s headquarters at the same time as cracking down on student struggles across the country. Student activists have called a protest march on 26 December, marking the 60th anniversary of the union’s foundation. The Moroccan student movement in universities and academic institutions (the number of Moroccan students is approximately 800,000, 48% of whom are women) is strongly struggling against the neo-liberal policies, austerity, suppression and tuition fees, which prevent thousands of children of the working class from enrolling in universities. This happens while the Moroccan state carries on its policy of cracking down on students’ struggle and detaining them (dozens of comrades were jailed). 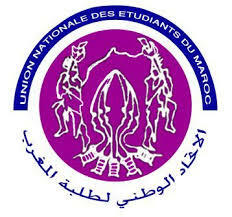 Therefore, students feel unable to hold their trade union, cultural, and creative rallies supervised by the National Moroccan Students Union (a guild of students founded on 26 December 1956). The latter has been suppressed and banned since July 1981. Furthermore, and as part of its plan to ban and restrict the right to unionize and democracy within Moroccan universities, the Moroccan government is about to confiscate the above-mentioned Union’s central headquarter, and alienate it to the Ministry of Youth and Sport. This triggered an overwhelming sense of outrage among students in many Moroccan universities, who denounced this unfair decision designed to restrict their trade union freedom. In retaliation against this anti-student policy, and upon celebrating the 60th anniversary of the above-mentioned Union, a large number of political activists, including the Moroccan student movement and old militants affiliated to the Union, intend to march nationally en masse (on 25 December 2016 in Rabat) to protest against the state’s decision to confiscate the headquarter, defend the right to free, democratic, secularist and appropriate public education, condemn crackdown on trade union freedom at university and demand the release of jailed students. Demand the Moroccan state, through the Ministry of Interior and its security forces, to raise its control and flagrant interference that prevent students from organising their trade union and political activities, and holding their congress supervised by the above-mentioned Union. 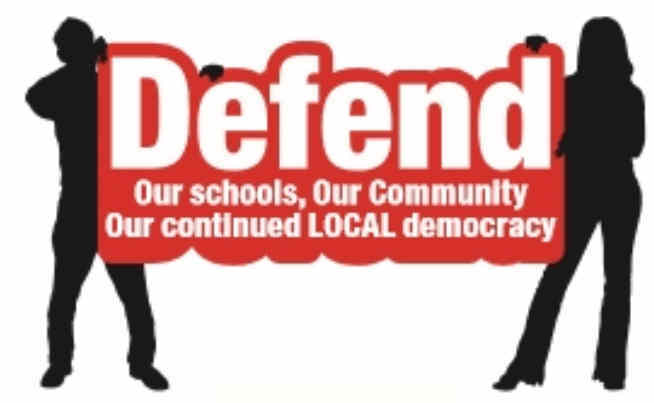 Defend Education: Should Summerside be an Academy? What do we know about “Reach 2”? Summerside is too small to “stand alone” as an academy. Parents, Governors and teachers need to know about the quality of the MAT (Multi Academy Trust). Summerside Governors voted for Reach 2 on May 26th. (see Summerside website, “community”). Ofsted give 4 ratings. The best is Outstanding, and the lowest is Inadequate. 35 Reach 2 schools have never had an Ofsted rating. 10 out of 20 Reach 2 schools, are Ofsted rated “Good”. So only 50% are “Good” and only 10% Outstanding since Reach 2 have only 2 Outstanding schools. The remaining 40% of those inspected as Reach 2 schools are “Requiring Improvement” or “Inadequate” (sources: Schools Week education publication. Janet Downs, Local Schools Network). Dorney primary, Maidenhead, was Ofsted rated “Good” before joining Reach 2, but in Jan 2015 was rated by Ofsted as “Inadequate”. Castle Hill Academy (Croydon) was Ofsted rated as “Good” before Joining Reach 2 in 2013, but now Castle Hill Academy has been rated by Ofsted as “Inadequate”. What do we know about Summerside, as it is NOW, within Barnet local authority? REACH 2 may not be best for the future of Summerside. On Sept 20th, the Chair of Governors of Summerside sent a letter to parents, representing Reach 2 claims that……”70% of Reach 2 schools inspected, are “Good or better”, but this is not correct. The most is: “60% of Reach 2 schools inspected are “Good” or “Outstanding”, 40% are inadequate or require improvement. This is why a consultation meeting for parents, staff and teachers should be offered voluntarily by the Governors. This is what the Summerside petition asks for. You can sign as a resident or as a current parent. Phone or email to read the petition or to sign it. The Council are proposing to cut the staffing budget by 46%. This means that around 30 library workers are now learning they will lose their jobs. These are men and women who have given years and sometimes decades of service to the people of Barnet. This is poor reward to a workforce who have consistently achieved percentage scores in the high 90’s for good public satisfaction. Such a cull of the library workers means that libraries will only be staffed for 30% of the opening times at the most. The Council claiming that self-service machines and to a less extent volunteer are adequate replacements. The Council are relying on technology to control access to libraries. People will swipe their library cards through an automatic gate to gain access during these times. But under 15 years olds unaccompanied by an adult won’t be able to do this. So young people access to our libraries are being severely curtailed. Leaving libraries unstaffed will put those using them at risk. Monitored CCTV with a response time of thirty minutes is not a sufficient replacement for having staff on site who can prevent incidents escalating and who can respond immediately to emergencies. But not only are human assets of the libraries being lost, the physical space is too. 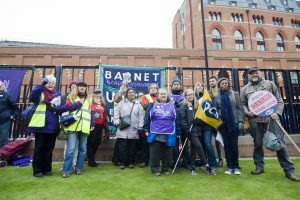 Barnet libraries are to lose between 15 to 90% of their space. This means fewer items to borrow. Less space for computers and less space to host events such as story times or author events. The people of Mill Hill, East Barnet, South Friern and Childs Hill will not even have the limited access library service available in the rest of the borough. Their libraries are to be handed over to voluntary groups, who will only be obliged to open for 15 hours a week. The Council justify the wrecking of Barnet Library Service by a claimed need to save money. The intention being to reduce the library budget by 1.6 million pounds by 2019/20. Yet the Council originally allocated over 6 and a half million pounds to restructure the library service. Recently we have learned that over 14 million pounds are to be spent on library procurements in the next financial year. This is a lot of money to be spent on reducing the assets, efficiency, accessibility and safety of a service. These changes will lead to a decline in use. Why would you use a library that won’t have the books you want, where no help will be available, not enough computers available, where there will be no room to sit and study and where you will feel unsafe? Barnet UNISON hope that this decline will not be used as an excuse by the present administration to close libraries a few years from now. It is also worth noting much quoted statistic that one in four people in the UK will experience a mental health problem each year. I therefore speak not only as a worker but from personal experience of using mental health services. I also want to make this point that I believe is often missed by elected members. 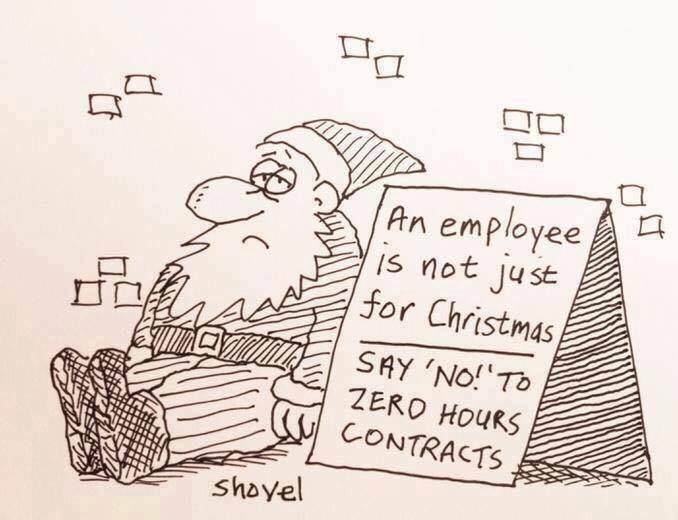 I speaking to you all as employers not politicians. It is as an employer I am wanting to address our members, your staff concerns about the proposal before the committee this evening. Firstly, I can confirm we are not opposed to the staff being brought back into the Council and we are fully supportive of the proposed social care model of intervention. However when travelling across the borough it is impossible not to see the number of housing developments; and with it the increase in population; and with that the increased need for schools, NHS provision, social services to name but a few public services. It is therefore highly dangerous to be proposing to cut Mental Health services at a time when the population is growing. It is our view that the proposed cut of mental health social workers coupled with the increase in responsibilities will NOT lead to a safer service for service users, families and carers. Barnet UNISON is extremely concerned about the reduction of social workers and the introduction of Assessment Enablement Officers (AEO). 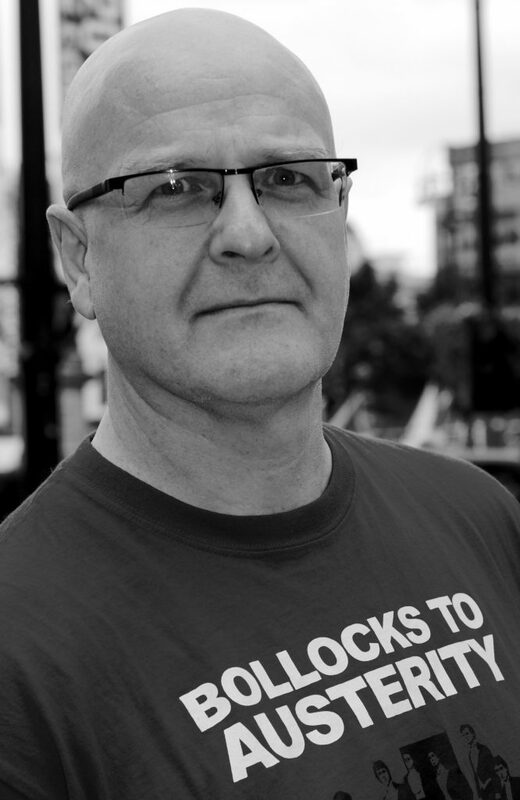 In mental health staff are working with extremely complex and high risk individuals in situations where you need qualified experienced and knowledgeable staff. Currently mental health social workers have significantly high caseloads (which includes the work connected to their statutory responsibilities in their Approved Mental Health Practitioner roles. The cut in social workers will lead to greater pressure upon an already pressured staff group increasing the risk of more Serious Untoward Incidents (SUI) happening. You will no doubt have been briefed that the Council is not making any social workers redundant, which is true; and you will have been told that the new proposal to replace qualified social workers with AEO’s will provide a better service. With respect this premise is nonsense. The proposal to cut mental health social workers is directly driven by NEED. However, not by the NEEDS of service users and carers, but by the NEED to make Austerity cuts. I would like to remind the committee that it was only two years ago when I addressed this same committee about the now infamous Family Services restructure. At that meeting I tried to convince members of the committee to extend the period of consultation as I was concerned the changes had been driven through in haste and that I feared there would be consequences for the service and the staff. Unfortunately the committee chose accept the advice of senior officers who are now no longer working for the council. However I can report that the restructure had to be revisited as I predicted, there was a high turnover of experienced social work staff which then resulted in the recruitment crisis you now have in children’s social work. Sometimes it is worth listening to UNISON. We’ve been here before 18th February this year, Adults brought a similar proposal to cut social work posts, and use non-professionally qualified workers. The rationale put before this committee for cutting social work posts was that new Capita IT database “Mozaic” would deliver efficiencies. Well 10 months later this is not happening because “Mozaic”, once again has been pulled. There have been so many false starts with Mozaic if they had been a sprinter they’d have been disqualified from the Olympics by now. I want members to take a look at agency/consultants spend. Last year the council spent £18.2 million on agency/consultants. This figure is larger than the year before which was £17.9 million, which was significantly larger than the previous year which was £15.5million, which was previously larger than the previous year £13.7million which was previously larger than the previous year £12.5million. In the last two quarters of this year the Council has already spent £13.7 million on agency/consultants which if the current pattern continues could see the Council break £20million. It is our view that the Council needs to address this agency/consultancy uncontrollable spend in order to protect vital front line services and in this case drop the proposal to cut social work posts. The closure of ticket offices restricts access to tube travel and mainline rail travel for disabled people. Those who are partially sighted and have learning difficulties. Have great difficulty or are unable to use automatic ticket machines. Cuts in outer urban and rural bus routes both in terms of the areas that they cover and their frequency. This restricts the ability of disabled people to get around and lead an active life. Also of course not only impact on disabled people. Also families and individuals that don’t own or have access to a car. Also people that give up driving due to ill health and old age. On tube and mainline so many stations don’t have lift access. Meaning that the disabled and the infirm are unable to use these stations. On the tube it also restricts access to those who have a fear of escalators. There is no assistance for people who need help to get on trains. Especially at stations where there is a wide platform gap. These restrict the access to disabled people on the tube and more so on mainline trains. Clapham junction is an instance. Also Wembley on tube I believe were a low height tube train uses a high level mainline platform. When stations are unstaffed they do feel unsafe. Not only concern for disabled people. Also for women travelling later at night. Or of course anyone with a fear and concern about using an unstaffed station. Partially sighted people can often find that station announcements are unclear. There is limited staff on a station for them to go to for help on which train and platform that they need. The need to book in advance if you need assistance to travel. Is a restriction and limitation on the access for disabled people to mainline rail especially. You are not able to suddenly decide you would like to make a journey. The narrow automatic Rottweiler barriers are a restriction to travel for disabled people. There are very few wide gates on most tube and mainline stations. For mainline stations Kings Cross is a prime example of this. It was rebuilt with a sea of automatic Rottweiler barriers. There is legislation that as I understand it. Allows bus companies to continue using buses with no disabled access. To extend the life of older buses to reduce operating costs. As well as probably franchising costs for councils. Giving them a cheaper franchise cost on marginal bus routes. Not overlooked at all here. Respect that the SERTUC Transport Industries Network and NAUTILUS do take forward any issues and concerns about maritime transport. That are raised by the SERTUC Disabled workers Network. Responding to the publication of Travelwatch’s Review into the impact of the ticket office closure programme on the Tube. “We welcome the urgency which with London Mayor, Sadiq Khan wants to tackle the serious shortcomings identified in TravelWatch’s report. The truth is that Boris Johnson’s ill-conceived and badly executed ticket office closure programme has created many problems for passengers and for our members. Put simply, there is not enough staff on our Tube. We hope that TfL now address this without further delay.